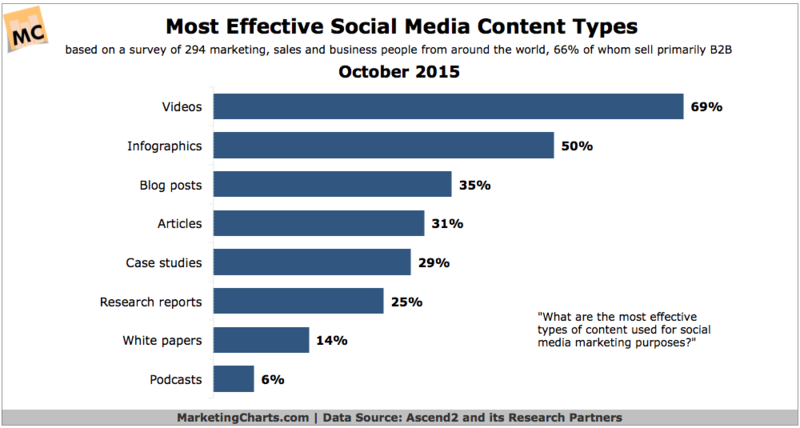 So, which types are best to promote on social media to drive results for your business? According to MarketingCharts via Ascend2’s 2015 B2B Report, here are the results from 294 marketing, sales and business professionals from around the world, where 66% are primarily B2B. Now it’s your turn: what kind of content do you see performing best when marketed on social media? Leave a comment! That B2B report worth a read? Honestly, I’ve not seen the whole thing, so I’m not sure. But this chart was awesome!